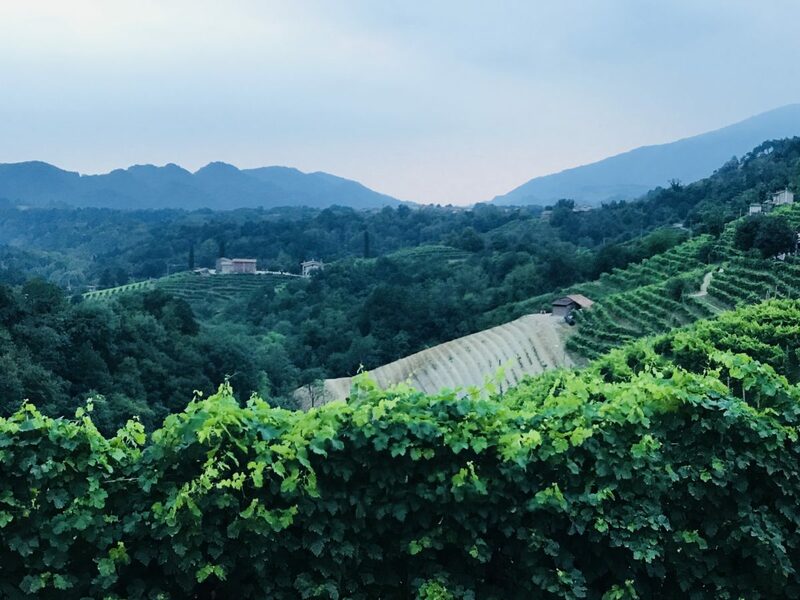 When we were in Italy this summer tasting the bubbly wines along Prosecco Road, it was easy to be laser focused on the next wine tasting. However, to go to the Prosecco region and only concentrate on the wine would be a shame. That’s because Valdobbiadene had some of the most delectable food we had in all of Italy. Steve holds up his pizza so Ann could take a picture. Also, he wasn’t going to let anyone else anywhere near it. It definitely had the best pizza we tried. Deb and Massi, our local guide and driver, took us to a charming pizza place with outdoor seating and colorful flower pots that surrounded an outdoor patio. Deb said she’d point the way to the best pizza we’d ever had. And she did. The four us sat down and took a look at the menu. I asked if we should order a couple pizzas to share and Deb insisted that we would each want our own. As usual, she was right. Ann’s pizza had prosciutto and peppers on a crust made from artisan grains. I ordered this prosciutto pizza with peppers and we paid just a tiny bit extra to have the crust made with artisan grains. Worth. Every. Euro. Cent. (And the cost was still even less than what we’d pay for a Domino’s pizza in the U.S). 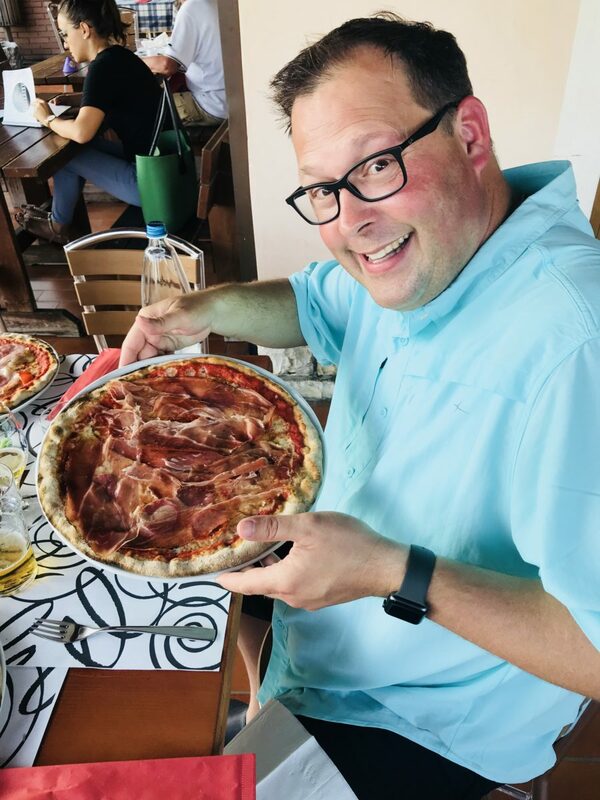 It was the most incredible pizza I’d ever tasted; not the thick and greasy stuff with processed meats and cheeses like you sometimes get in other countries. I’m talking a thin, wood fired crust with a sauce so fresh you’d think the tomatoes were picked from the garden just minutes before (they probably were), topped with fresh meat, vegetables, and flavorful, gooey cheese. 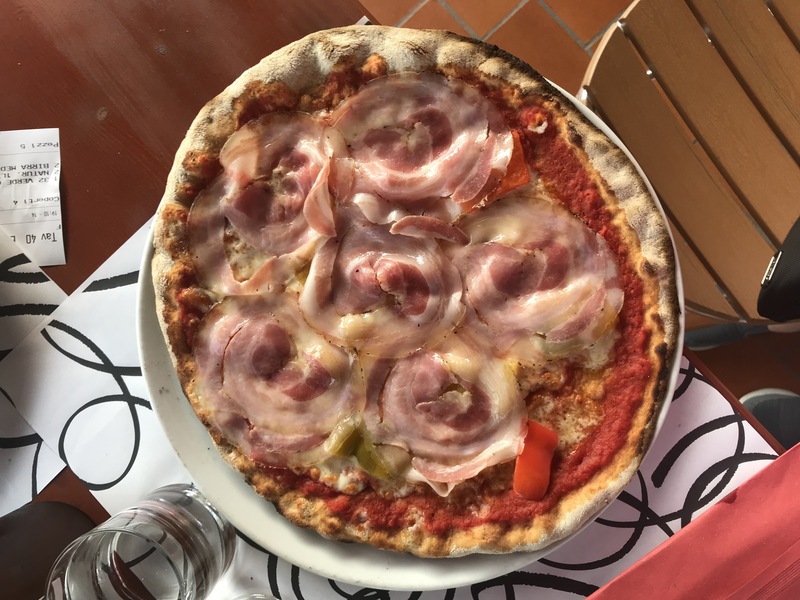 Yes, in Italy pizza is not just a dish; it is an experience of flavors and tradition. 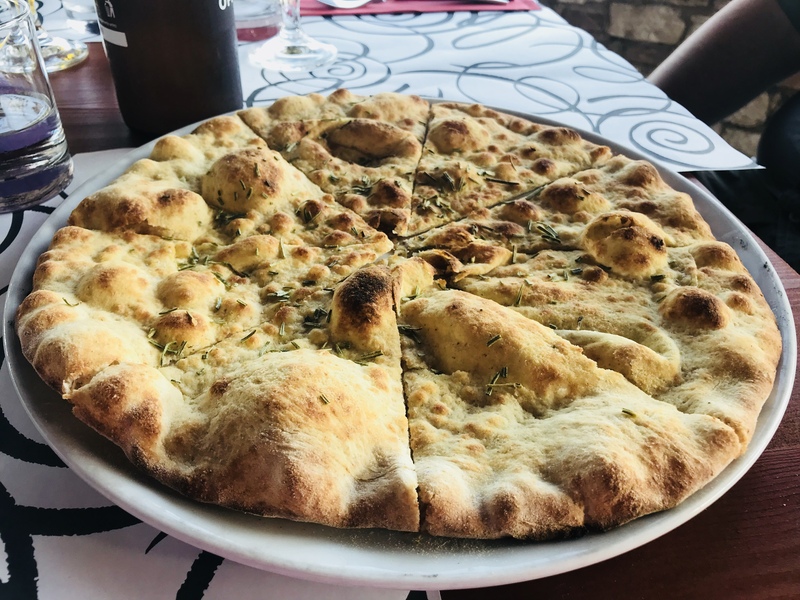 For an appetizer we had a pizza crust that had been drizzled in olive oil and sprinkled with herbs. We shared an appetizer pizza crust drizzled in olive oil and sprinkled with fresh Italian herbs while sipping glasses of cold beer and wine. We sat, enthralled by the view of the sun setting over hills covered in grape vines. THIS was the Italian experience I’d been dreaming about for years and it was everything I’d hoped it would be. It was great to have a private driver who would stop when we wanted to take a picture. And who wouldn’t wan this picture? 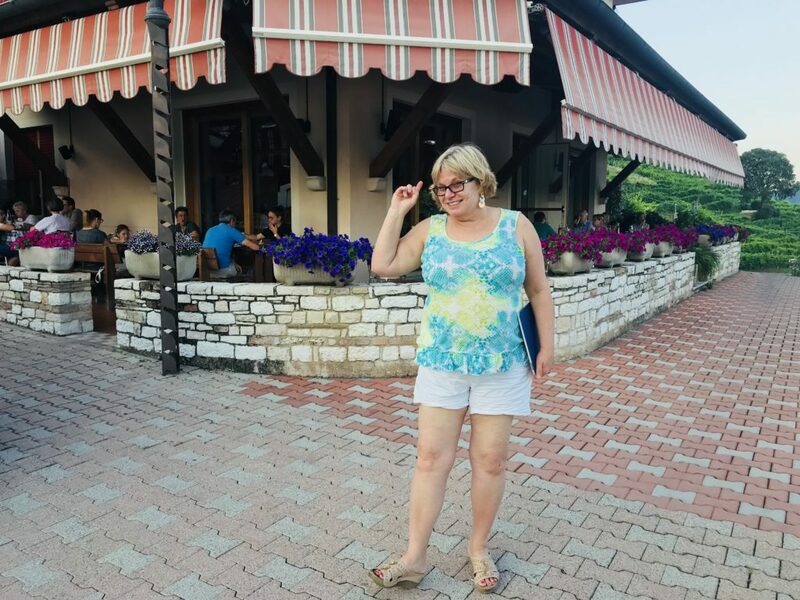 For our second night in the Prosecco region, Deb and Massi wanted to take us to a different kind of Italian restaurant, one that was more formal, a bit more gourmet, but just as delicious. 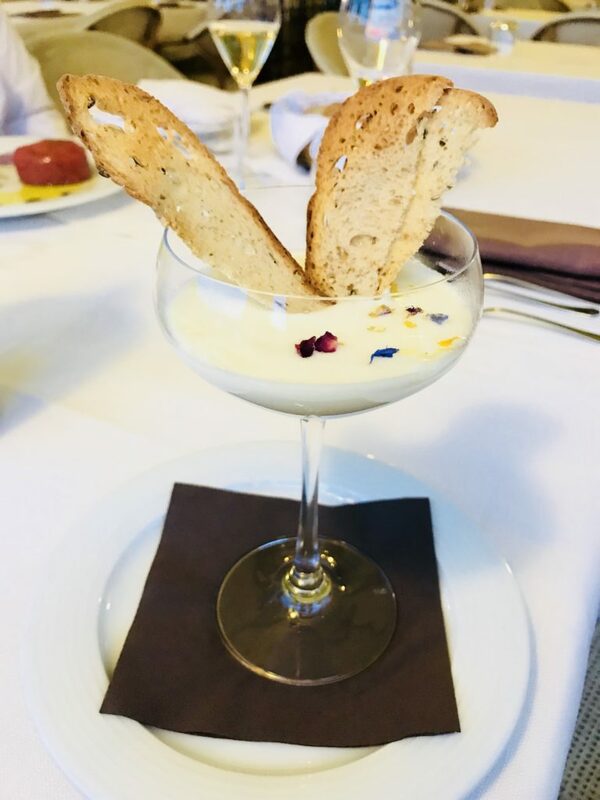 After a leisurely drive along a mountain road littered with breathtaking views and passing through several quaint Italian villages, we stopped at a fine dining restaurant late in the evening where we were seated at a white linen covered table on an open-air balcony with an incredible view. 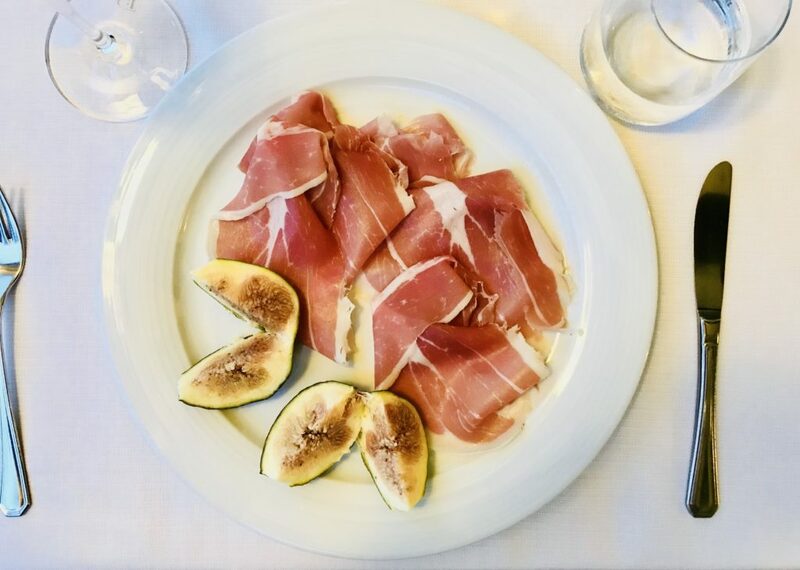 Ann’s appetizer of prosciutto and fresh figs. The appetizer course was my favorite. I had prosciutto with fresh figs while Steve ordered a local favorite, a warm cheese fondue with crispy Italian bread. It was sprinkled with edible flowers and he savored every bite. This creamy cheese fondue was beyond delicious. Steve wanted to lick the glass clean, but Ann said no. In between courses, we watched the sun set over the hills of Valdobiadene and listened to the chiming bell of a nearby church. It was another quintessential Italian experience. Our view from the restaurant. 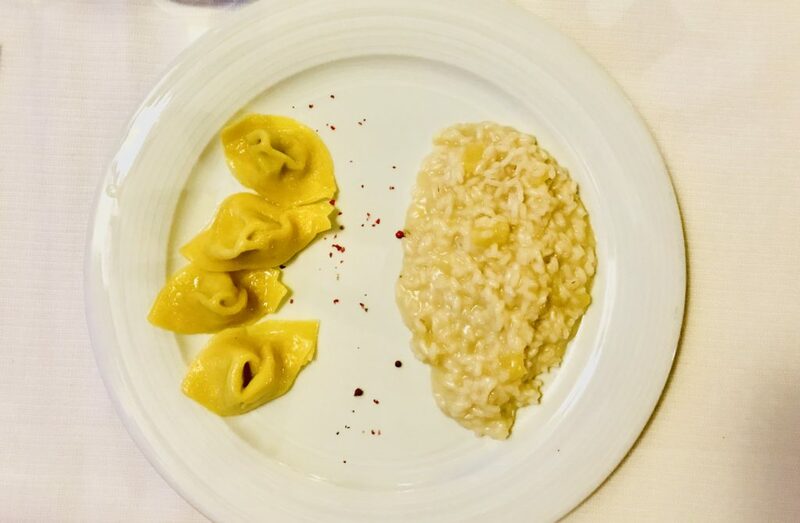 For the main course, I had an apple risotto with four beautifully crafted tortellini. The plate was sprinkled with coarse, pink peppercorns and looked too good to eat. Of course I ate it anyway, taking my time to savor every bite. Apple risotto and tortellini seasoned with ground red peppercorns. Yum! 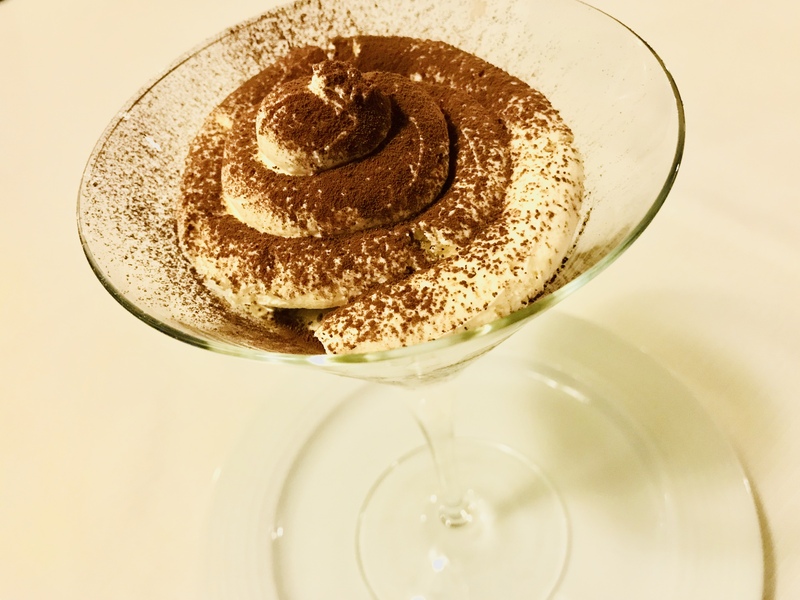 For dessert, I opted for one of my favorites, a traditional tiramisu and it was one of the best I had in Italy. Ann had this beautiful tiramisu for dessert. 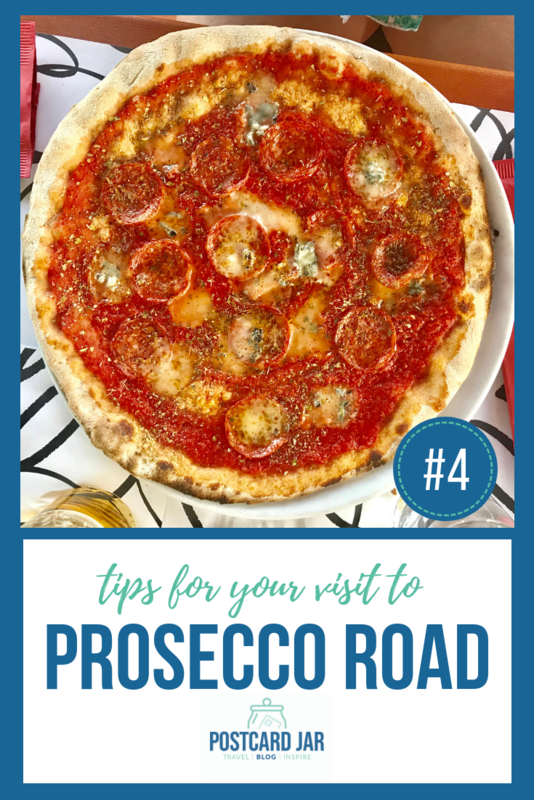 While we came to Prosecco Road for the wine, we were surprised to be equally impressed with the food and restaurants. Not only were the dishes beyond compare, you can’t beat the views, the relaxing atmosphere, and the hospitality of the people who live there. We can’t wait to go back. Our tour of the Prosecco Road and transportation were complimentary from Italy Unfiltered and Massi the Driver. The opinions expressed are our own. 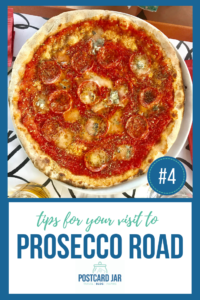 Tips for your visit to Prosecco Road – #4 Savor the Italian food. We honestly don’t recall the name of the restaurant and didn’t mention it here because it was part of an exclusive tour that we took with Deb and Massi. 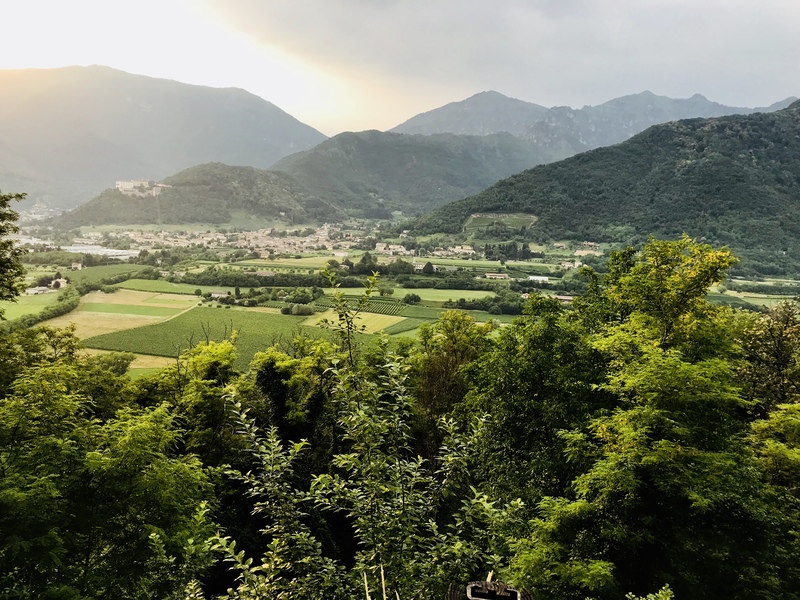 If you ever have a chance to visit Valdobbiadene, Deb and Massi are excellent resources. The food looks so good. So happy you are posting pictures.? Glad you enjoy them, Mary. Thanks for following along.